Yesterday morning was an early Christmas for all Bitcoin traders. In less than an hour, Bitcoin went from around $6,900 to over $8,000. However, the massive leap was short-lived, and the cryptocurrency now trades at close to $7,700. Regardless of the value going down under the $8k mark, this is still excellent news for all cryptocurrency enthusiasts. As you may already know, the past few weeks were rough for the crypto market. After Bitcoin’s value plummeted to around $6,700, nobody expected that this situation would last for more than a week. But it did for even more. 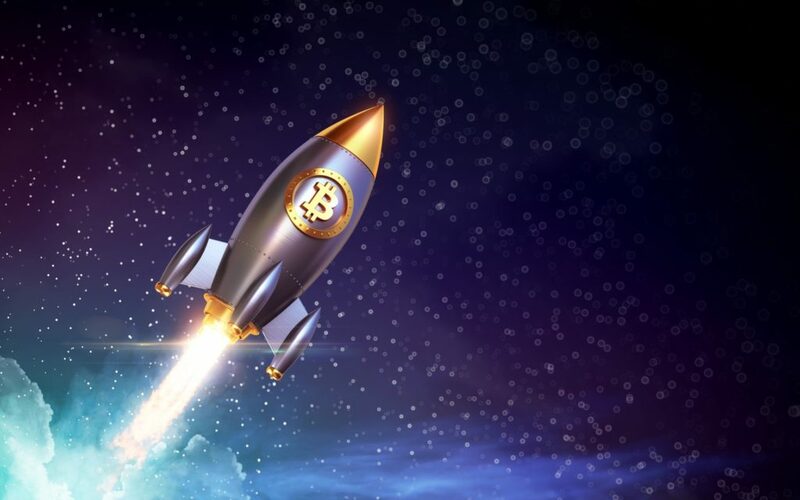 While some rookie investors feared the worst, most experts agreed that Bitcoin and other altcoins would recover relatively soon. And now it seems that the recovery process has begun. On Thursday, April 12th at 07:00 GMT, Bitcoin began trading at $6,766. By the time the clock hit 11:00 GMT, the coin was above the $7k mark. However, in the next 45 minutes, the unexpected happened, and Bitcoin skyrocketed to $8,055. This is a 13% increase from yesterday’s close of $6,939. Well, right now it’s hard to say. Based on previous instances, if Bitcoin closes above $7,510 today, the $8,500 mark is a highly probable outcome tomorrow. However, cryptocurrencies are not famous for playing by the rules, so take this evaluation with a grain of salt; don’t go on a Bitcoin betting site and put all your coins on this outcome. After all, today’s breakout surprised everybody, including the best cryptocurrency investors.